Dreaming of names whether it's a place name or a personal name can be very significant. If the name is significant to you in your waking life, the dream can be giving an alarm to you to keep your eyes and ears open in waking life. If the name is a place name, it often depicts a place that is going to be important to you in some ways. It may be a place that you will find a new job, or a new love, or simply that it is where you need to be for you to be able to grow spiritually. Personal names are also significant and are often present in dreams. You may also dream of people you don't know personally but know of in waking life. What this means is that you need to be on the lookout for someone who will play a significant role in your life with that name. Sometimes it may be that you dream of the same person over and over again and you are also being given reminders of this name in everyday life. This usually means that they will play a newand important role in your life or if you feel that that is not and never will be the case then there are unresolved issues between you. You may hear the name on the television, hear it on the radio, and also even listening the music. You might suddenly pay a great attention to the name. The name might be about something or somewhere. Should a name be given to you it is a very good idea to keep your eyes and ears open in waking life. The dream can be interpreted as you will have radical changes and developments in your life, and these will improve your life dramatically. You will experience a better future and have better relations and maybe a marriage if you are a single. If you are already married, you will have much joy in your affair and you will have crowded. Your name represents you, your essential identity. Your name summarises yourself. It is like a focal point around which your sense of self collects. Someone else’s name would depict your feelings and intuitions about them. The way of writing other people’s names represents your feelings for that person. The name you wrote in your dream is also be a word play or association to other people. It may imply the quality you feel in regard to someone else with the same name or associations. It could also be a place name, a venue. These can represent your feelings about the place, or be similar to personal names in their suggestion of something. If you dreamed that you put a name to someone you know or a baby, the dream usuaaly suggests that you will change their life in positive ways. You will enable them to be very succesful, even a rising star in their professional life. You will make their lives easier and many feasible contributions. These beautiful deeds will make you feel better in both material and spiritual life. Your name represents you, your essential identity. Your name summarises yourself. It is like a focal point around which your sense of self collects. 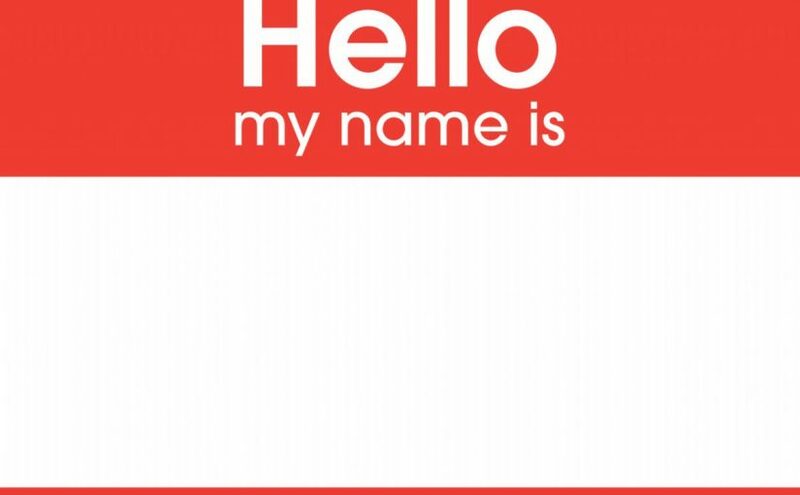 So changing your name would suggest a change in the way you see yourself, or express yourself. Someone else’s name would depict your. If your name is changed, the dream suggests you sense a change in the ways you feel about yourself. The dream portends that you are not happy with your assets and conditions in the waking life. The dream suggests that you will start trying to find new opportunities and new starts in your real life. You are not satisfied with your earnings, financial issues and living standarts. However this type of dreams are fortunate alarming dreams, and you will be able to find your wants and make your wishes come true.